I'd read a raving review somewhere and this is what I had intended to get when I got distracted last time. 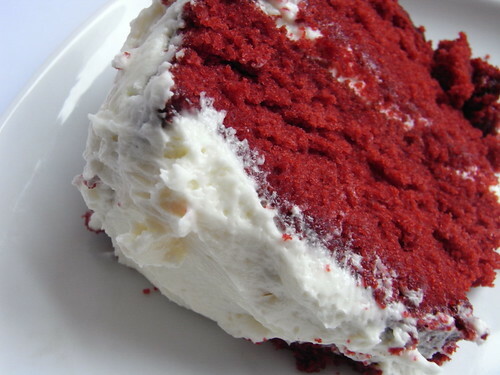 Gotta say, this is some red velvet cake! Almost as perfect as an American style cake can get. It tastes right out of the oven, even if we know that's not the case. THis picture makes me want to bust out with my Southern Grandmother's recipe and make it!! !